LAKE SUCCESS, N.Y. — In addition to announcing the addition of Desk Log to its SalesMaker profit management system, DealerTrack said that the number of active financing sources connected to the platform has reached 350. Among the recent additions is Maserati Financial Services. "We are excited to reach this milestone," said Mark O'Neil, chairman and chief executive officer of DealerTrack. "The continued expansion of the DealerTrack network makes it increasingly beneficial for our over 22,000 dealer customers. 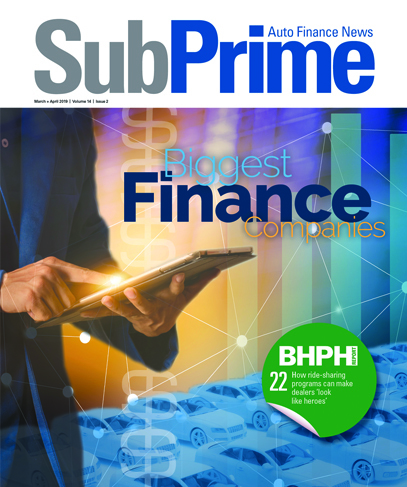 By providing efficient online access to the industry's largest, most diverse network of automotive lenders, we are helping dealers to best meet their customers' needs and sell more vehicles." "The integration of the DealerTrack system and our underwriting platform has produced results beyond all expectations," said Todd Trawick, senior director of Maserati Financial Services. "The efficiencies realized throughout our underwriting process are truly amazing." About 89 percent of all franchised dealers in the United States are active in the DealerTrack network, according to executives. In other recent news, DealerTrack announced the launch of Desk Log, which is an enhancement to the company's SalesMaker profit management system. The system was designed to enable dealers to track the status of their sales activity throughout the entire sales and finance process. "SalesMaker is now getting even better with the addition of Desk Log," explained Raj Sundaram, senior vice president of Dealer Solutions at DealerTrack. "This new feature provides functionality that our dealer customers have been asking for, enabling them to track the status of deals from the time they start at the prospect stage until they actually get funded - not just when the car is delivered. "With Desk Log, SalesMaker not only helps dealers structure the best financing options that meet customer needs and their own profitability objectives, but also helps them manage their sales activities more efficiently and get deals done faster," he added. Officials said SalesMaker was created to offer the richest functionality of any desking solution on the market, integrating sales, finance, inventory and desking to help dealers structure the most profitable deals. It allows dealers to compare any type of financing — including lease, balloon, retail and special finance options — for any customer across the credit spectrum. SalesMaker reduces duplicate data entry, because deal information is electronically available throughout every stage of the process, and data provided on financing options is guaranteed, executives highlighted. With the addition of Desk Log, dealers can also track deal status and view any applicable notes; track activity by individual salespeople; and monitor progress on meeting stipulations for particular deals. Executives said the new feature was added to SalesMaker to help dealers complete deals and get their funding faster.